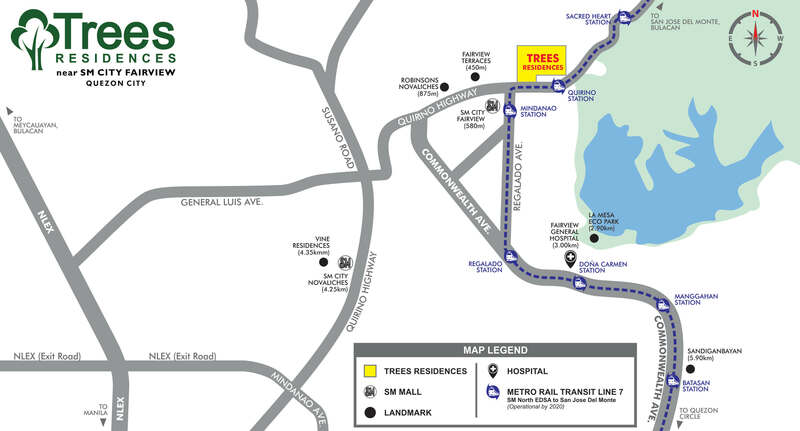 SMDC Trees Residences offers the indulgence of a hushed, quiet neighbourhood in the heart of Novaliches, Quezon City. With its very own retail area within the complex, you never have to leave home for the basics, giving you more time with the family to enjoy the exclusive amenities when at SMDC Trees Residences. Features include a 24-hour security system, CCTV system, wifi zones, mailroom and a standby generator set. Price range is Php1 million to Php4 million.